1. 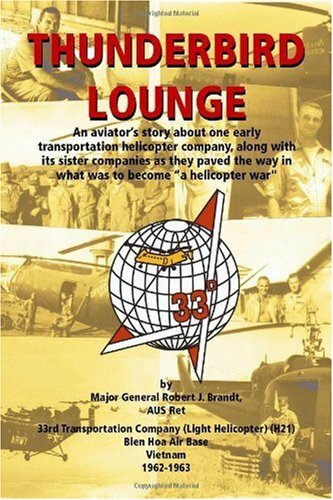 Thunderbird Lounge: An Aviator's Story About One Early Transportation Helicopter Company, Along With Its Sister Companies As They Paved the Way in What Was to Become "A Helicopter War"
It is quite evident that Gen Brandt did considerable research into the events that took place during that time period.Some people might question the facts as presented about some of the operations or events, however, I think the book speaks for itself.The author did an outstanding job depicting how the Company functioned in that environment and how the officers and enlisted men endured the stress and strain of life away from home and family.The humorous side depicted in the book is probly as accurate as can be remembered and certainly contributed to the over all high moral of the organization.The book is well written and a pleasure to read. Bob Brandt did a masterful job of saving, sorting and presenting data as well as remembering so many facts that most of us have long since forgotten. The book is a keeper, and supports the efforts and brave acts of the many unsung participants at the outset of this strange venture of our country into a truly foreign land. I swapped my book, OUTLAWS IN VIETNAM, for Bob's book at the VHPA reunion in Las Vegas, 2002.This is a great book by Gen. Brandt typifying the events and life-style experienced at this early moment in Vietnam. The H-21's are graphically described in all their quirks and needs, as well as the skillful men who had to fly them. I find the earliest years of VN helicopter warfare fascinating to read, as these men not only laid down the tracks for we later aviators to utilize in mid-sixties on, but they quickly found out the political reality of Vietnam--which never changed.As Halberstam has stated, "the war was lost in 1964, not at the end of its duration." Our aviator job was tremendously enjoyed by all of us, but the Washington administrations never totally got it what a fluky scenario Vietnam was.We helicopter pilots surely got it, though. Pi'-o-neer' a noun meaning: "One who goes before, preparing the way, for others to follow. "There is no other way to define the original members of the 33rd Transportation Company (Light Helicopter)(CH21), except as pioneers in U.S. Army Aviation history!All original members of the 33rd left their families in the U.S. and quietly departed Ft. Ord, CA with their destination as-"unknown"!The move was classified as Top Secret and no one was able to tell anyone, including families, where they were going under penalty of court-martial.Vietnam was not classified as a combat zone in 1962, but as an advisory zone...but no one told the VC.Thunderbird Lounge is a very good historical book written by a man who experienced it all. 1LT Robert J. Brandt, a National Guard officer newly assigned, became the Commander of the 573rd Maintenance Detachment and, would be the only Commander of the 573rd Maintenance Detachment for the entire year. The 33rd was originally to deploy to "unknown" locations in March of 1962.The orders were delayed and many of their helicopters were transferred to two other Transportation Companies (8th and 57th), which did deploy.Then the U.S. was scoured for low time CH-21's to replace the ones given up by the 33rd.The unit was again alerted to move in August of 1962.All aircraft and all other equipment finally departed for Hawaii by ship scheduled to stop in Hawaii to pick up the aircraft and equipment of a sister unit, the 81st, before continuing on. Then, the day before the main body of personnel was to depart Travis AFB, 1LT Brandt was diagnosed with pneumonia!After spending a night in the Ft. Ord hospital and receiving a massive dose of penicillin that led to a rapid improvement, Brandt convinced the Army doctor that he HAD to go with his unit the next day.Convinced by his improvement, the doctor loaded Brandt up with more penicillin and off he went.He recovered enroute with no ill effects. The arrival at Tan So Nhut and Saigon was exactly as anyone who has been there remembers...a sensory shock and memorable!The year was 1962 and, Saigon was "unspoiled" by western influences; full of interesting foreign sights, sounds and smells.The USNS Croatan, carrying 40 cocooned helicopters and equipment, arrived within 48 hours, on schedule.Following unpacking, unwrapping and assembly, the 33rd's20 CH-21s were flown to Tan So Nhut and ultimately to their new home on Bien Hoa airbase about 30 miles north of Saigon.The time was the monsoon season and no member of the unit had experienced the tropics or the problems the heat and moisture would ultimately bring to their aging CH-21 helicopters.The 33rd had arrived and "Wow", were the conditions primitive! Throughout the remaining pages of Thunderbird Lounge, MG Brandt tells a complete story of the first year of the 33rd in Vietnam.People, places and incidents are described in very vivid detail.Almost every pilot is mentioned as well as many of the key enlisted men and NCO's.Using letters sent home to his wife along with the help of several comrades he is still in contact with,MG Brandt reconstructs many events that tell the story of their first year.Combat assaults, re-supply and medical evacuations are carried out in two aircraft flights because of engine and maintenance concerns.The red soil and extreme moisture conditions made maintenance of the CH-21 radial engines and wooden rotor blades very, very difficult.Brandt estimates that his engine shop rebuilt a CH-21 radial engine every 8 days!Thunderbird Lounge is a story of missions, maintenance and mayhem. Never has a book been written after 40 years that is more complete with dates, names and locations.Every page is brimming with tales relating the many humorous incidents and events that made life in combat and the poor living conditions of Bien Hoa airbase bearable. Great photos are placed at the end of each chapter that compliment and highlight the people and incidents within the chapter. MG Brandt carefully remembers some of the sad events of the year, concluding with the loss of the first two 33rd pilots just after his returning home. Thunderbird Lounge is truly a wonderful book.It tells a positive story about men as pioneers overcoming adversity, boredom and the enemy.Some of the participants may have seen things differently than MG Brandt, as he looks back after 40 years.However, no one can say he didn't tell it candidly, and fairly, as he saw it.After all, 40 years is a long time.1962 was truly a time when real men pioneered the use of helicopters in combat and developed the textbooks for US Army Aviation airmobile operations.Those textbooks, as well as the lessons learned, were effectively used by thousands of pilots over the next 9 years in that "unknown" location so very far away. You would think that a book about military helicopters for kids over 9 would provide more information than "military helicopters are mighty machines" or "military helicopters carry troops into battle". Or "this is a rotor". There is very lttle text or information beyond what I just quoted. In terms of information provided, this book is for 2 and 3 year olds. In terms of reading, this book is for 5 or 6 year olds. But both groups are going to be very disappointed. 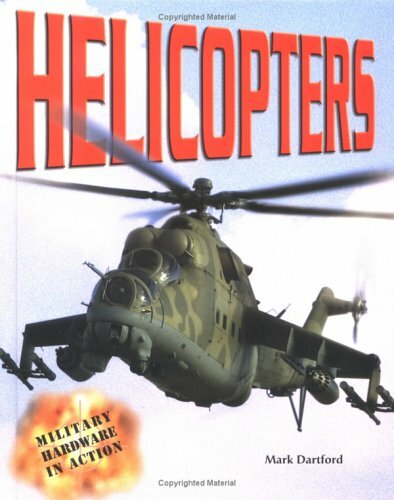 The book fails to mention the model of helicopters in the photos. How hard would that have been to do? Isn't the book supposed to be about military helicopters? THE BIBLE FOR POLICE HELICOPTER OPERATIONS! 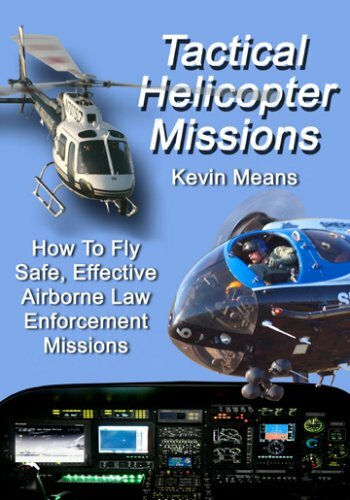 As a 'Helo Cop' my fellow helo-cops and I practice the principles outlined in this book everytime we fly.Furthermore, the teachings from this book are passed on to future generations of helo-cops. I personally met Kevin Means and he is an absolute professional and a true gentleman. His work will live on in history long after all of us have passed onto the big Police helipad in the sky! LOL! Great book and easy to understand. I use the subject matter every time I fly a fly a mission.It's a great training aid for new Tactical Flight Officers (TFO's) and Pilots. I refer to the different chapters often as I fly new TFO's on their first flights. I used to train people to fly helicopters, now I fly emergency medical rescue helicopters.Chapter 18 alone is worth the price of the book.It details variations on the single most-important emergency flight maneuver - things that you may not learn from the average helicopter instructor.The knowledge in that chapter could make the difference between walking away and being dug out. I recently began reading this book, and I find it nothing less than astonishing. Its large amount of tables, figures, and charts help to really explain the text. 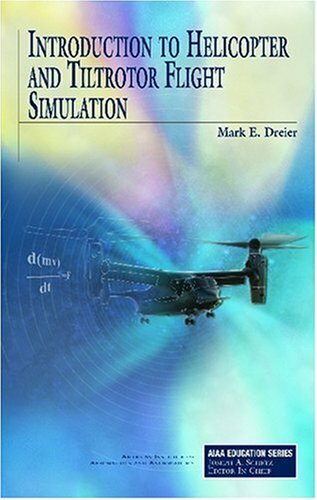 I am a younger person, and really didnt expect to understand rotary wing flight, but this book has really made it possible for me. This book is a great bok for beginners as well as experienced flyers. Overall I think this book is an excellent buy. I am a test engineer who typically works on fixed wind a/c. This gave me a good heads up on the principles of rotary wing flight. Easy reading and informative. 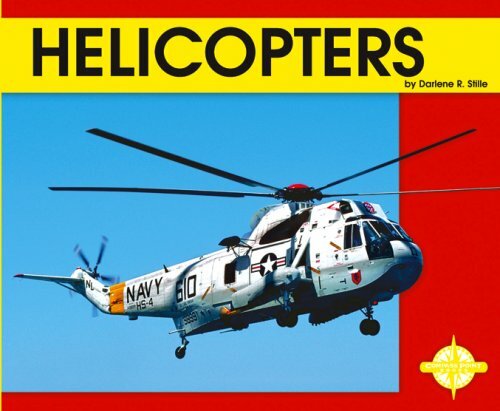 I got this book for my 4-year-old son who loves helicopters.I read the book myself and think it is a great book.It has a lot of good information about helicopters and has many beautiful color pictures.I think it's a little beyond a 4-year-old's comprehension, so I put it away for a while.I know he will love this book. The only reason I didn't give it 5 stars is that I thought the book was a little overpriced.When I opened it up I thought it was awefully thin. 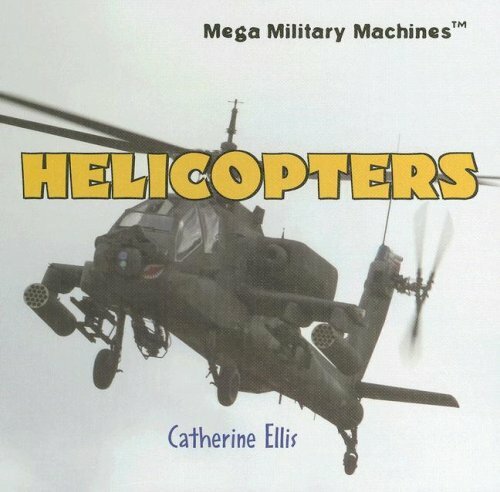 This is a great book for kids that are interested in learning about helicopters and how they work. 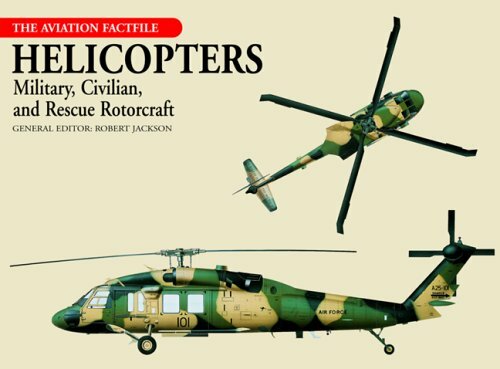 The book is well written and nicely illustrated which certainly enhances the understanding of the various types of helicopters. 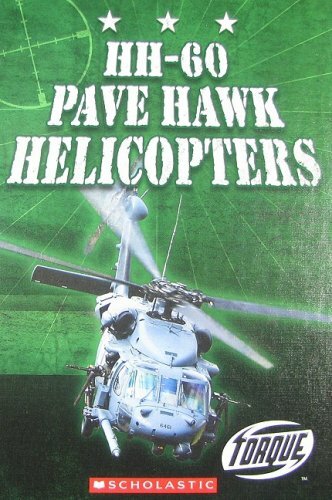 The book explains how the pilot flies the helicopter and the various types of work to which the chopper is put including search and rescue, medical evacuations and in the military. This is a fantastic book that is a helpful guide for kids who may wish to have a career as chopper pilots when they grow up. This is a very informative book, with great pictures and good descriptions. The only reason that I've given it three stars is that it includes a page on Helicopters at War. 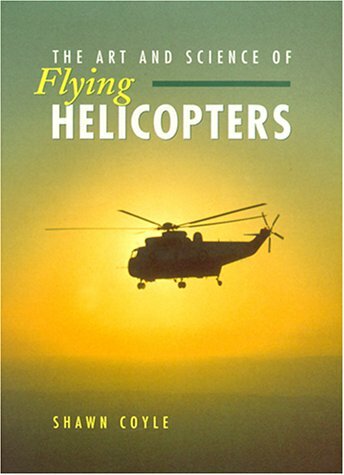 It has a very short summary of the use of helicopters in Vietnam, Korea, and the Gulf War. Certainly done very well and with pictures showing soldiers jumping out the helicopters -- some with medical situations and one with guns (albiet from distance). this has the same format laid out as the books from jim winchester of modern military aircraft and aircraft of world war 2. all three of these books are must buys. I'm a Grad Student at the University of Maryland's Alfred Gessow Rotorcraft Center studying Helicopters and this is without a doubt the best Helicopter fact book i have ever seen.I even showed it to one of my professors and he loved it.It is very informative with great photos and diagrams.It also isvery accurate and faithful to history, which can not be said for a lot of these types of books you find. This is an excellent overview and history of helicopters. This book has many worthwhile images accompanied by a large number of significant errors and pedantic captions. There are also multiple consecutive entries for a given helicopter model, very few of which add anything to the first entry for that model. This book suffers from extremely sloppy fact checking, incorrect technical explanations, and generally a lackadaisical treatment of a very interesting subject. I ordered this book for a graduation present.It was the perfect gift and the recipient loved it!! For the past 35 years I have flown single engine fixed wing aircraft and for the same 35 years I have always wondered about how it would be to fly a helicopter. After reading this book I still can't, but I now have some idea of just how "the other side" flies.I can now better appreciate the difficulty of maneuvering these aircraft and of the greater attention must be paid by the pilot even when flying straight and level. I cannot say enough about the author.His writing is clear, concise, and humanistic, but never allows the reader a "parade rest" but, rather, holds the reader at full attention from page to page, well almost, until the book is finished. Well written, worth twice the money. This book provides a basic overview of helicopter flying.This is a good book for initial training.It is written with a down-to-earth (no pun intended) feel, so it was easy to read and helped simplify some complex issues that were confusing me.I would recommend this book for anyone who is beginning their flight training or someone who has been out of flying for a while and in need of a refresher course regarding the basics. I will be attending Bristow Academy this Jan. and bought several books that they recommended to me. This is above and beyond the others. The author gives down to earth easy to understand explanations as well as many examples of many of the subjects discussed. For anyone that is looking to fly helicopters and is looking for a good book to explain a lot about them, DON'T MISS THIS TITLE!!! If you're like me, and I know I am, you haven't attended any flight training yet. If this is correct, you are the target audience for this book. It is well-written, in a conversational style that makes all the theory of the early chapters and the emergency procedures of the later chapters understandable on a first reading. I had just applied for the Army's Aviation Warrant Officer program when I ordered this book. I had slogged halfway through the Army's Fundamentals of Flight field manual when this arrived from Amazon. The theory matched point for point, which shouldn't be surprising since Mr. Padfield writes that he learned rotary aviation from the Army when he was an Air Force pilot. The two major differences that make spending money on this book preferable to reading the free Army manual are: 1. the manual was apparently written for those who have already learned how to fly for the Army, and includes so many acronyms and abbreviations a complete beginner must constantly stop reading to look up the meanings; and 2. Mr. Padfield includes tips and tricks and helpful hints gained from many years and 9000+ hours of flying helicopters, all effortlessly included in the text giving the impression that he is sitting in the cockpit next to you helping you out. The book includes many illustrations, photos and diagrams to assist the reader in better visualizing the ideas brought forth in the text. Also, as the text verbally illustrates the concepts, the repetitive nature of some of the motions helps the reader retain the knowledge (i.e., pulling up the collective and twisting the throttle combine to adjust power... since those motions are necessary for most operations, any time he mentions another operation, he verbally illustrates by mentioning how to adjust each control). The only reason I couldn't rate the book 5 stars was the photography. The photos are all black and white, and by today's printing standards they are low quality. Since most of the pictures are mainly for general interest (i.e., various full-body shots of helicopters common in the 90s when the book was written), that's not normally an issue. The problem for me came when he was describing the controls and showing a low-quality, too-small grayscale photo that's not very clear. Also, it's been long enough since the book came out (at least a decade); some of the new gizmos he mentions would be available or common soon should have been implemented by now and even newer ideas brought out. An additional chapter updating these thoughts would be nice. In general though, the theory is the same, making the book stand up well over the years. Of course, if you're already a pilot, I suspect you won't pick up much if anything from this book, aside from an appreciation for Mr. Padfield's writing style. Although some of the tips, particularly ones having to do with emergency procedures, may help some.